The lens only weighs in about 485g and measures 7.2cm long without the hood and rear cap. 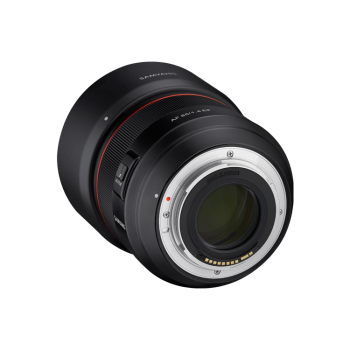 This compact lens also offers crystal clear image quality with minimized distortion and aberration. 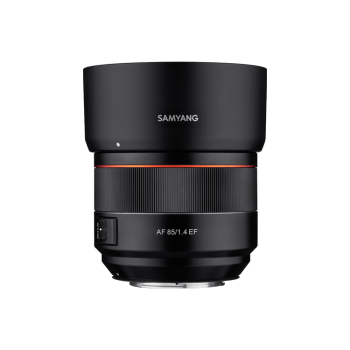 Samyang’s advanced technology offers very fast, accurate and quiet auto focus performance with Dual type LSM(Linear Supersonic Motor). 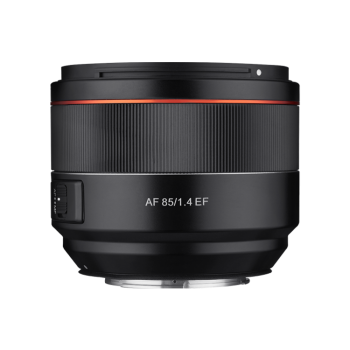 This AF 85mm F1.4 lens is ideal for a variety of shooting situations – portraits, outdoor, pets and more. For more stable shooting and extended lifecycle, it provides maximum protection for the lens: camera protection against dust and moisture. An Ultra Multi-Coating increased clarity and sharpness by reducing the lens flare and ghosting. It also minimizes unnecessary reflection of light in order to control the light transmittance to express the accurate color.